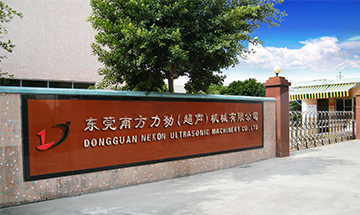 Dongguan South force Machinery Co., Ltd. was established in 2006, located in the city of China's industrial economy - Dongguan, the South force is a manufacturing enterprise engaged in R & D, manufacturing industrial ultrasonic automation equipment, the company is trying to provide automatic mechanical equipment for the Chinese machinery industry, providing diversified design options for customers, measuring the body Customizing automation machinery. The company registered "South strength" and "LEKEN" trademark, mainly producing and manufacturing ultrasonic plastic welding machine, ultrasonic plastic welding machine, plastic welding machine, ultrasonic generator, plastic welding machine, ultrasonic welding machine, ultrasonic equipment, ultrasonic wave welding machine, ultrasonic mould, ultrasonic wave welding machine and so on, more than 10 series of more than 100 models . Service areas include automotive, electronics, medical and health care, toys, clothing, household appliances, Hotel supplies, office supplies, packaging and other industries. At the same time, it can also customize a variety of non-standard equipment for users, has a high reputation in the market, products are exported to Southeast Asia and Europe and the United States and many countries and regions. will come in the future, with wisdom. Thank you for your support. We will continue to work hard to build the southern force as your intimate partner. 2018-04-18 Why is ultrasonic plastic welding machine more and more popular? Copyright © 2006 - 2018 Southnekon. All Rights Reserved.